Learning is more effective when it is an active rather than passive process. Keeping in mind, 'let’s sort the food items' activity under the EVS theme 'food' was recently organized for our grade 3 students at Presidium, Raj Nagar. 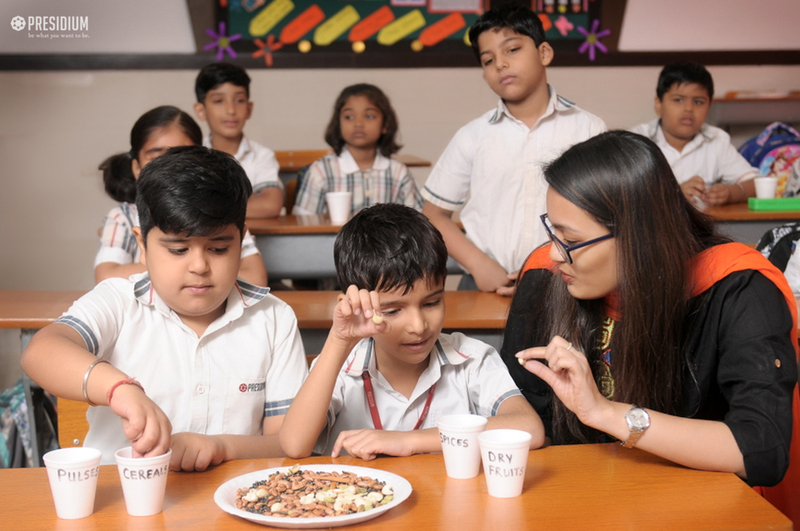 In this the experiential learning activity, the students categorized different mixed food items like rice, dal, wheat, kidney beans, cashew nuts, almonds, peas and cloves, into cereals, pulses, dry fruits, vegetables and spices. Having proper knowledge of everyday food items is essential for the young ones and to inculcate this valuable skill, this fun-filling activity proved to be really helpful!